Almost done with my model specs! I ran into a couple of interesting problems that I posted on Stack Overflow, one of which I’ll cover briefly below. Oh yeah, and Rogue! I’ll explain that in the last section of this post. If you just read the whole post, skip to the last section of this blog post. Why is my query returning a different object id? equal checks object identity. The objects you are testing are two objects (instances) referencing the same record, but they are actually different objects from a Ruby virtual machine point of view. Here I’m creating two identical strings. They are identical, but not equal because they are actually two different objects. 2.0.0-p353 :008 > "foo" == "foo"
2.0.0-p353 :009 > "foo".equal? "foo"
That’s the same issue affecting your test. equal checks if two objects are actually the same at the object_id level. But what you really want to know is if they are the same record. The “where” query returns an array of objects matching the query, and those objects must be Active Record objects that just handle the data. If I make another query, Active Record must be creating another set of objects to handle each row of data. Think of an Active Record object sort of like Rogue (see above). 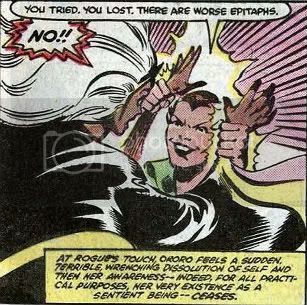 For those of you who don’t remember, Rogue absorbs the memories and abilities of any person she touches. Similarly (sorta), an Active Record objects takes the data (memories) of a certain row and then takes on the behavior (abilities) of the object type matching the table name. 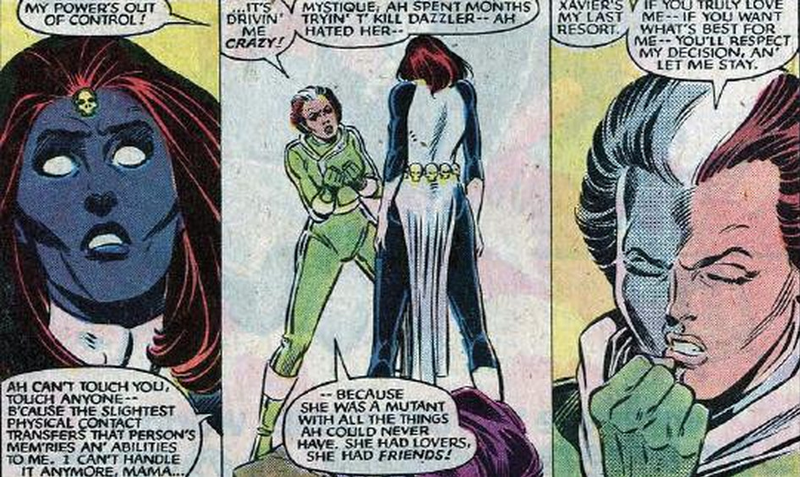 Ok, so that was really just an excuse to get Rogue somewhere on my blog. While I’m at it, here’s one of her destroying Ororo (Storm). So there you have it! Moral of the story: generally remember to use eq to test equivalence in RSpec with ActiveRecord. Oh, and here’s a bonus resource: equal, eql, eq, and == in RSpec.